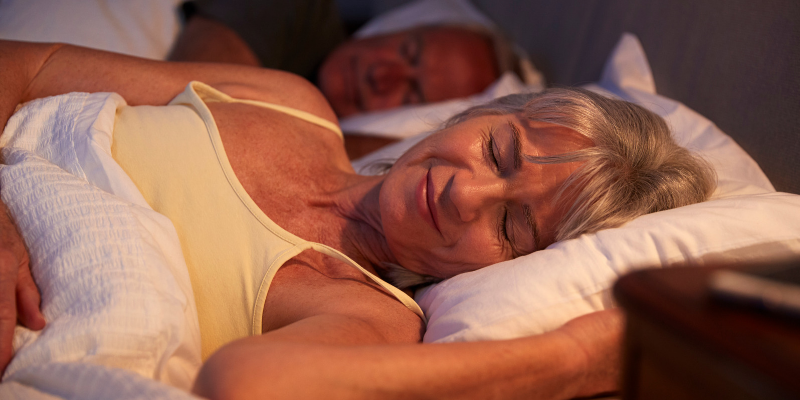 Hidden Dangers of Sleep Apnea | Advanced Sleep Medicine Services, Inc.
You’ve heard of the hidden dangers that certain types of products or habits put the average American at risk. Unfortunately, less is heard about the unknown epidemic of untreated sleep apnea. According to the American Sleep Apnea Association, 22 million Americans have obstructive sleep apnea, yet 80 percent of them are left untreated. The dangers this can cause are numerous, yet with simple allegiance to compliance many of these dangers can be decreased or eliminated. These are the dangers to know about and what issues are caused by ignoring the signs. Depression: When an individual is not getting the proper amount of quality sleep, the body and mind suffer. It’s important to realize the strong connection between sleep and depression. Because energy levels are low from OSA, in can lead to feelings of inadequacy or guilt for not having the amount of energy they believe they should have. It can begin to feel as if they have no control over their sleeping or waking hours. High Blood Pressure: There is a strong connection between OSA and heart conditions. High blood pressure can be worsened if not treated with OSA therapy. Poor Memory: When the brain is not getting the proper amount of oxygen, it can cause poor recall and the inability to concentrate. What a person might write off as having a short attention span, can actually be due to OSA. Excessive Tiredness: Even if a sufferer of sleep apnea feels that they are getting a proper amount of shut eye, they are still not getting quality sleep and may feel constantly tired. As mentioned earlier, there are millions of Americans currently experiencing the impact of untreated sleep apnea. A misconception is that it is not common and that if you do have it, it’s not a major concern. However, nothing could be further from the truth. Here are dangers many do not realize. Heart Disease Untreated sleep apnea increases the risk of heart failure but 140 percent. If a person has or suspects they may have a heart condition, they need to pay particular attention to the danger the heart is in if not treated. High Blood Pressure If a person has mild or moderate to severe OSA, the same is likely true of their blood pressure levels. The severity of the sleep apnea condition is directly related to hypertension. Diabetes Sleep apnea impacts blood sugar levels because of the stress that is put on the body due to interruptions in sleep. Overtime, this can lead to insulin resistance. Additionally, those with OSA often have a high BMI, which can lead to type 2 diabetes as the organs begin to store excessive fat. Those with sleep apnea often have some form of cognitive dysfunction. The most serious being dementia and Alzheimer’s. Those with OSA have a very high chance of developing Alzheimer’s, according to a recent study. “It’s now apparent, through reputable studies, that sleep apnea may even be related to Alzheimer’s disease, in a sense that amyloids are deposited and found in the brain of patients with Alzheimer’s disease. It’s important for the brain to clear these amyloids during deep stages of sleep. With obstructive sleep apnea, patients get very little deep sleep, so your brain is unable to clear out these amyloids. It’s been seen that Alzheimer’s and sleep apnea coincides, as when you don’t get enough deep sleep, increased numbers of amyloids are found in your brain. If you treat sleep apnea with devices such as a CPAP machine, according to the study, you can postpone Alzheimer’s symptoms,” states Dr. Mostafavi. Snoring may be common, but that’s because sleep apnea is common. When the tissue relaxes in the back of the throat, as it does with OSA, it causes a person to snore. This is because the airway is partially blocked. Sleep apnea only impacts those who are overweight. Although a great determinant, being overweight or underweight is not automatically linked with sleep apnea. Anyone, even children, can be diagnosed with OSA. The cause can be simply the way the throat and face are shaped. This may have been true many years ago, but now there are many different options for each individual person’s face shape and sleeping preference. OSA will go away on its own. This is the biggest myth that Americans need to hear busted. The only way OSA will go away or subside is through treatment. The most common and helpful treatment is often CPAP therapy. Ignoring these symptoms are dangerous and can even be fatal. Treatment is not only important, but essential for avoiding the hidden dangers of sleep apnea. After undergoing an in-center or at home sleep test, your healthcare team will help you towards deciding what treatment option will be best. There are a few different options that have helped many. CPAP Therapy: This stands for continuous positive airway pressure. It is a device that you wear on your face each time you sleep. It helps by providing a constant flow of air to the airways. Mouth Guards: Dental devices are more for helping eliminate grinding. They aid in restructuring how the jaw and mouth sits for it to assist with opening up the airway. Surgery: This is typically a last option. This is because the most effective treatment has been a CPAP machine, and it is a much safer option than surgery. There are a variety of surgeries meant to treat this. A physician will determine which would be the best course of action for their patient. Sleep apnea is a silent killer, but very treatable! If you believe you are suffering from sleep apnea, our in-center sleep test will help diagnose it! Schedule one today. 2. Shahar E, Whitney CW, Redline S, et al. Sleep-disordered breathing and cardiovascular disease: cross-sectional results of the Sleep Heart Health Study. Am J Respir Crit Care Med. 2001;163:19–25. 3. Bixler, Edward O. Ph.D. et al. “Association of Hypertension and Sleep-Disordered Breathing.” JAMA Internal Medicine. 4. Joo, Eun Yeon, M.D., Ph. D. et al. “Reduced Brain Gray Matter Concentration in Patients With Obstructive Sleep Apnea Syndrome.” Sleep.